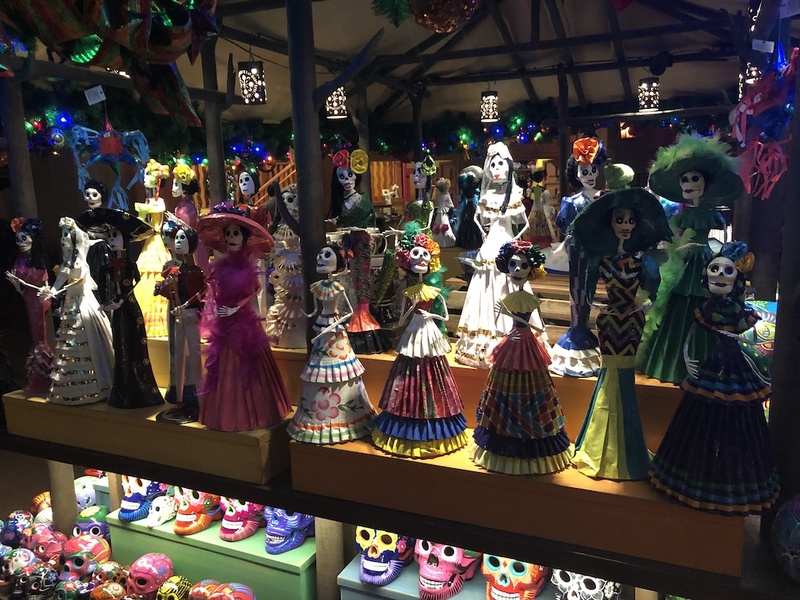 In Epcot’s world showcase one of the more popular pavilions is Mexico. 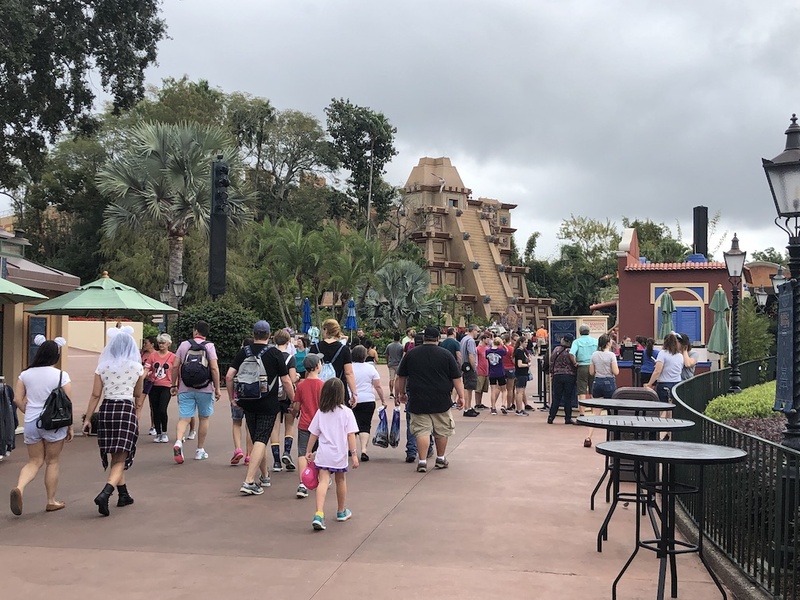 Whether this is due to the tequila bar La Cava, Mexican food which I personally enjoy, or if like my daughters it’s the slow-moving boat ride attraction. 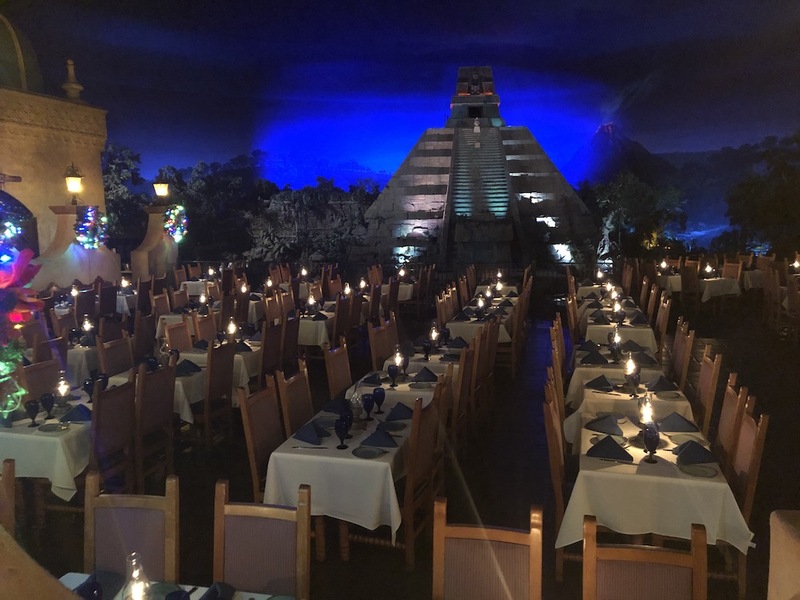 When the pavilion initially opened the boat ride was called El Rio del Tiempo (The River of Time), and took visitors through various scenes in Mexican history. Then in 2007 the attraction was changed to the Grand First Tour featuring The Three Caballeros. For those of you that may not have seen the 1944 Disney animated movie the Three Caballeros are Donald Duck, Jose Carioca, and Panchito Pistoles. 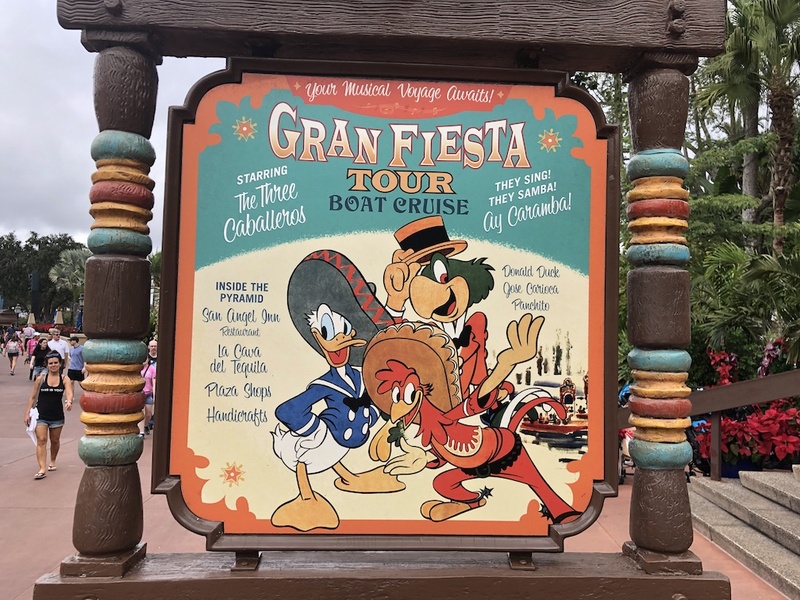 It’s still a slow-moving boat ride, but the Three Caballeros are supposed to perform a concert but Donald is off on his own exploring Mexico. It’s a cute little ride and my kids absolutely love it. On most visits to Epcot we hop on at least 2 or 3 times. But we will get back to the ride shortly. The part I always loved about this pavilion is how you are inside, but it’s designed to look like you are outside in a Mexican market. 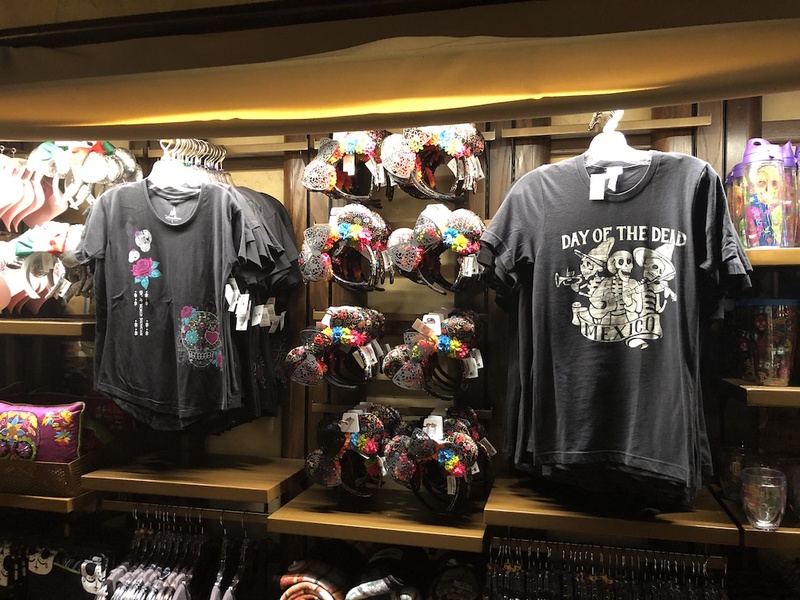 There are building exteriors around the perimeter of the pavilion, and various carts selling all sorts of beautiful art, as well as t-shirts, sombrero and plenty of Disney merchandise. I brought up about the change to the boat ride in 2007 for a reason. 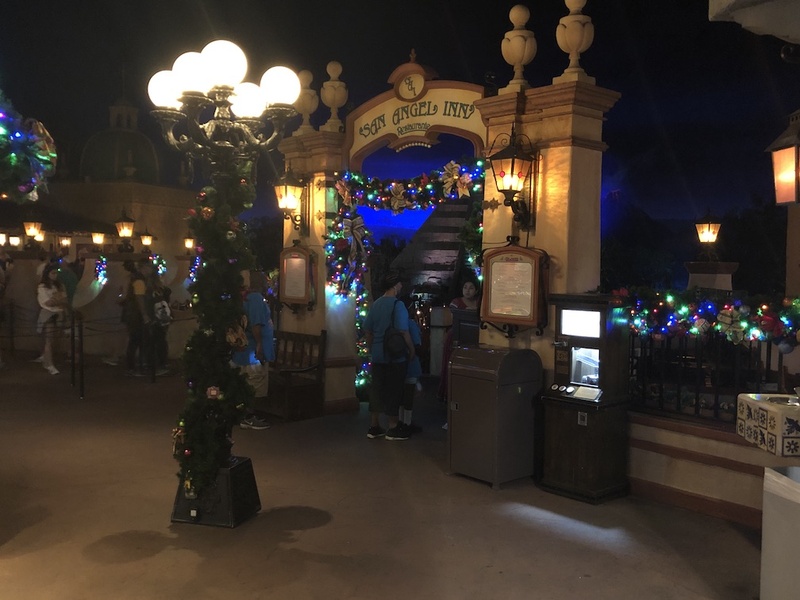 With the popularity of the 2017 Pixar animated movie Coco, there have been rumors swirling around that the Grand Fiesta tour ride would be changed / updated to revolve around the Coco story and characters. 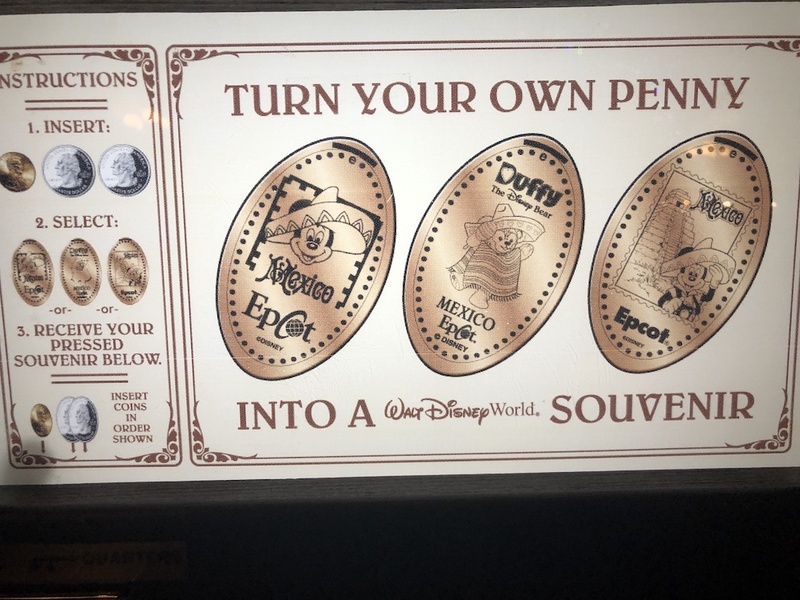 So far nothing has been confirmed by Disney, but maybe one step in that direction has to do with a new pressed penny machine that was just released inside the Pavilion. 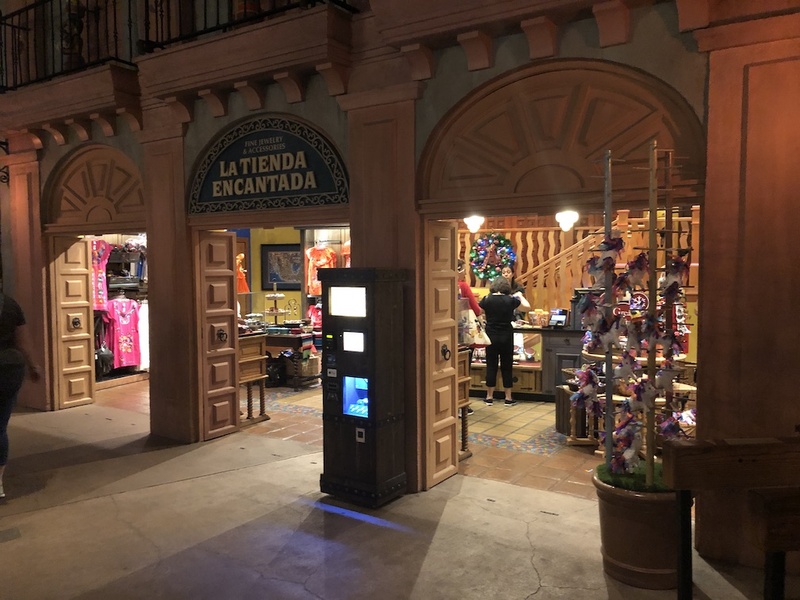 Located outside La Tienda Encantada store (also by the exit to the boat ride) is where there used to be a 3-design penny machine. That was removed and replaced with a new 8-design touch screen machine. 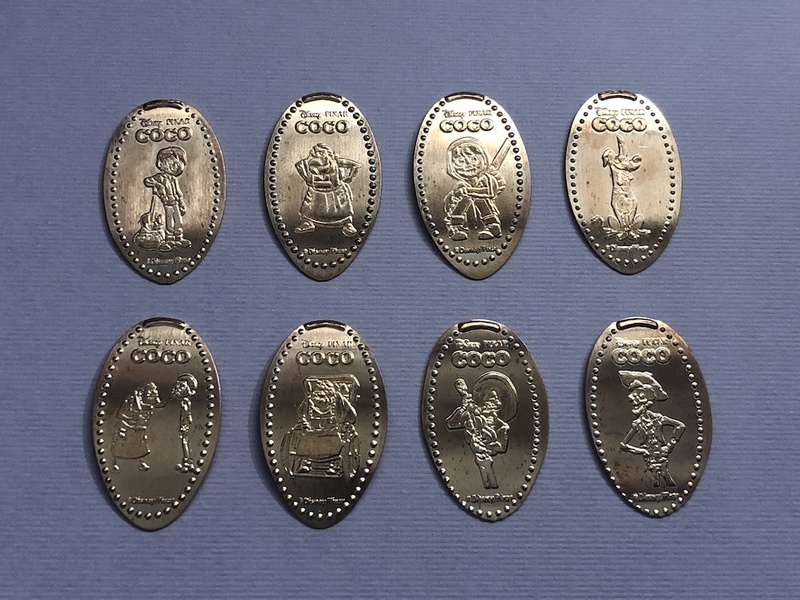 The designs on these new pennies are all characters from the Coco movie. The images include Miguel with his Guitar, Ernesto del La Cruz, Hector, Abuelita, Mama Coco, Dante the Dog, Abuelita pinching Miguel’s cheeks, and Miguel sitting with his face painted. The details on these coins are really nice and made me want to watch the movie again. These characters were really great and the story in the movie is fantastic. I mentioned that there used to be 3-design penny machine here that initially I thought had been removed completely. 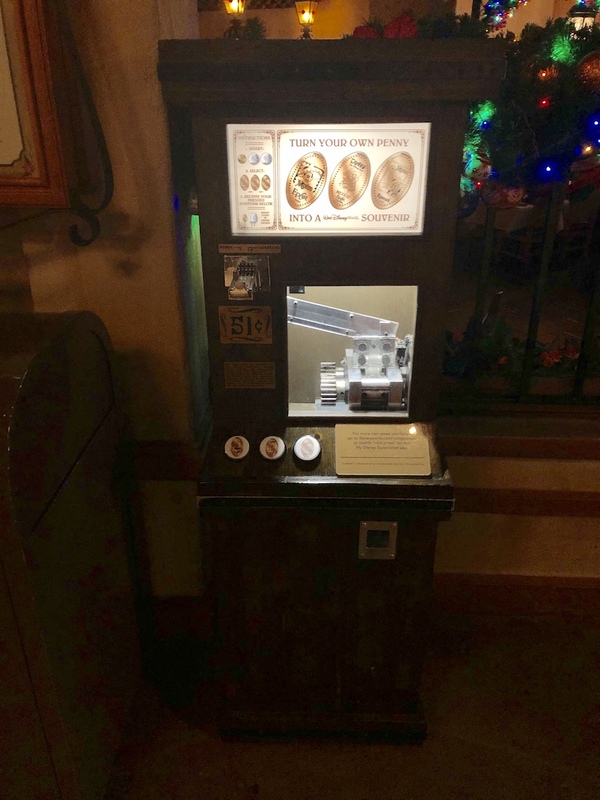 However after we wandered around the pavilion a bit and contemplated eating at the San Angel Inn we found the machine. It’s now located just outside restaurant near the check-in area. 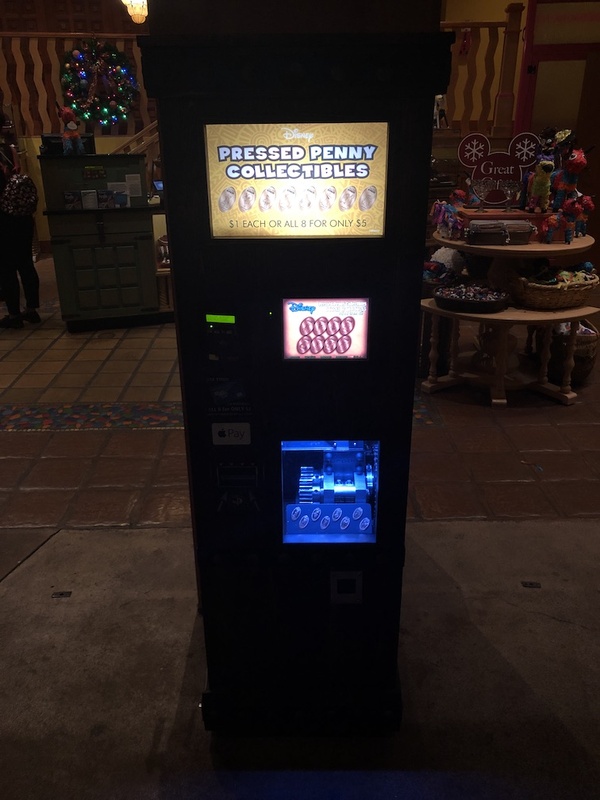 The designs have not changed, but it’s nice to still have this machine available. I guess only time will tell on whether we will get an updated Coco boat ride inside the Pavilion. But until then this is still a fun place to visit and just spend some time checking out all the details. Plus there’s free air conditioning inside which is a blessing in the middle of the Florida summer.